There has been an apparent increase in avocado injuries due to the way people hold the fruit in the hand. Therefore, dubbed “avocado hand”, has spread as one plastic surgeon in England says, into an epidemic and suggests that avocados should come with a consumer warning label! Use a sharp, medium size chef knife or suitable size that reaches the pit in the middle. Keep avocado on cutting board or a kitchen towel, do not hold in hand. Cut into skin, hitting the pit with the knife, go around by slowly spinning avocado till completely cut in half. Then twist the sides apart with your hands. Instead of “whacking” the seed while in your hand, quarter the one half with the seed, and easily pull out the pit with your fingers. Peeling the skin off the flesh and lay down on board to slice or you can slice halved avocado while holding in a towel to slice and scoop out slices from the skin. Avocados are great nutrition loaded with fiber, protein, vitamins and great Omega 3 fats that are good for you. 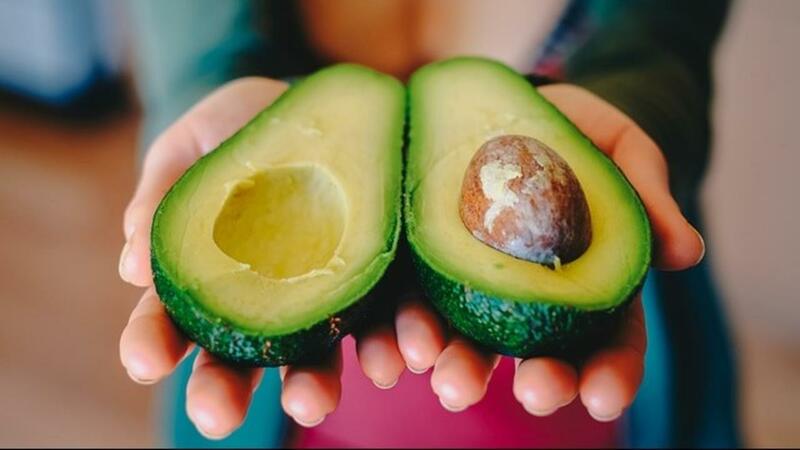 So, continue eating……but avoid the dreaded “avocado hand” by cutting them safely!